Kinetic group owned MotoRoyale has launched 7 new bikes in India. The brands include MV August, Hyosung, FB Mondial, SWM and Norton. Get complete details here. MotoRoyale has introduced 7 new premium performance bikes in India. It is owned by Kinetic Motors and all the 7 brands now come under MotoRoyale. The bikes include Hyosung GT 250 R, Aquila Pro, FB Mondial HPS300, MV Augusta Brutale 800, Norton Dominator, Commando, and SWM Superdual. The range of the bike starts from 250cc and goes up to 1000cc. All these bikes are not Indian made. The range of these bikes starts from Rs 3.37 Lakhs and goes up to Rs 23.77 Lakhs. Check out the details of all the bikes here. FB Mondial is neither a Scrambler or a cafe racer. It is a Hipster bike, because of its funky looks. FB Mondial is an Italian brand and its bikes hold many Grand Prix championships title. The HPS 300 gets a 250cc liquid cooled engine that produces 24 HP power and 22 Nm torque. For suspension, it uses 6-speed gearbox. It weighs just around 135 kgs. The Hipster bike gets front and rear disc brake with ABS. MotoRoyale has relaunched the brand Hyosung, which earlier used to sell bikes in India. The GT250R is a fully-faired sports bike. It gets a 250cc V-Twin oil-cooled engine. The engine produces 28 HP power and 22 Nm torque. For transmission, GT250R uses a 5-speed gearbox. The sports bike uses double disc brakes in the front and a single unit in the rear paired to ABS. 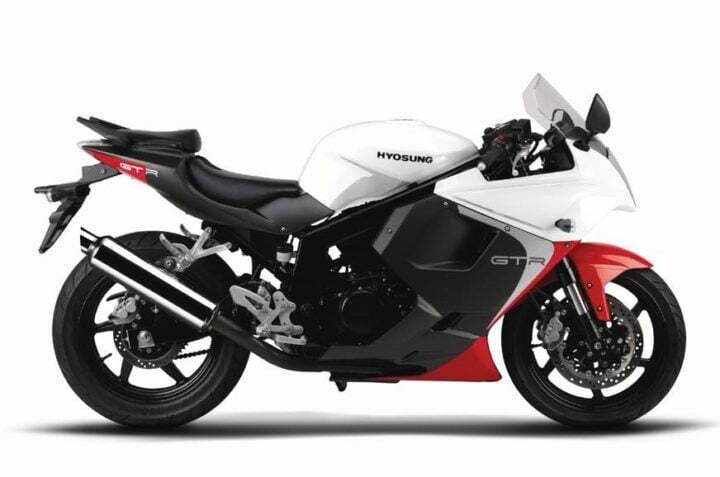 MotoRoyale has launched another Hyosung Product. 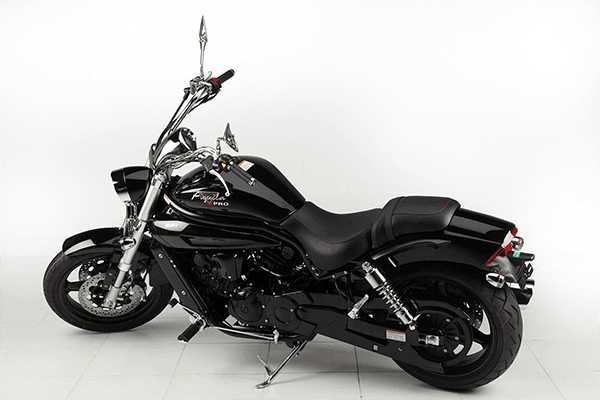 It has launched the Hyosung Aquila Pro with a 647cc V-Twin water-cooled engine. Currently, this is the most powerful Hyosung product in India. The engine produces 75 HP power and 62 Nm torque. For braking, the cruiser uses dual disc brakes in the front and a single disc brake in the rear. Also, it gets a dual-channel ABS setup. SWM has launched its first ADV bike in India. The Superdual T is a dual-purpose bike, which takes on Suzuki V-Strom 650 and Kawasaki Versys 650. The bike comes in two variants. 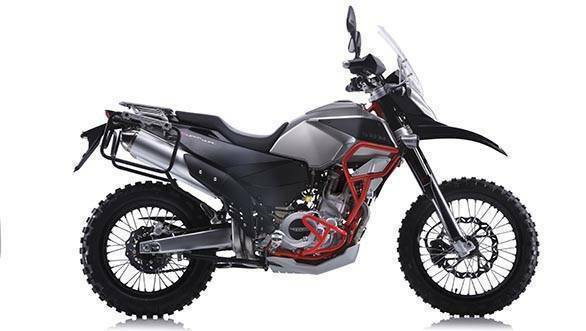 The ADV gets a 600cc 4-valve DOHC liquid cooled engine. The engine produces 57 HP of power and 53 Nm of torque. For transmission, the Superdual T uses a 6-speed gearbox. The bike uses front and rear disc brakes paired with ABS as standard fitment. 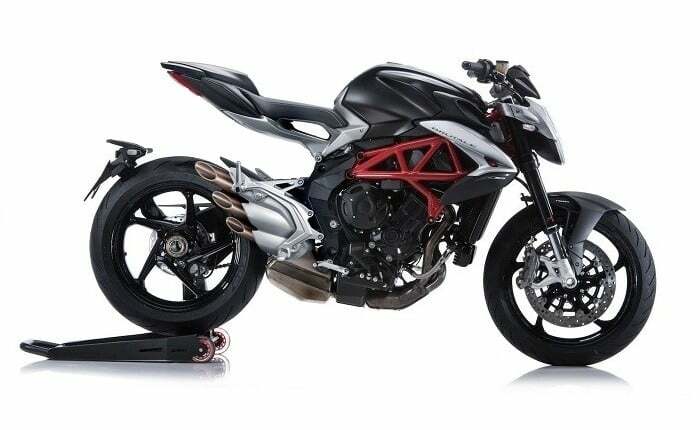 Augusta Brutale 800 is one of the lightest street naked bikes on road. The bike has a huge power to tonne ratio of 800 HP per tonne. It comes with an 800cc three-cylinder engine that produces 140 HP of power. It comes with features such as Full Ride by wire throttle, 8 Level traction control, ABS with Rear Wheel Lift Up Mitigation, Brembo disc brakes and 4 Riding modes – Normal, Rain, Sport, and Custom. 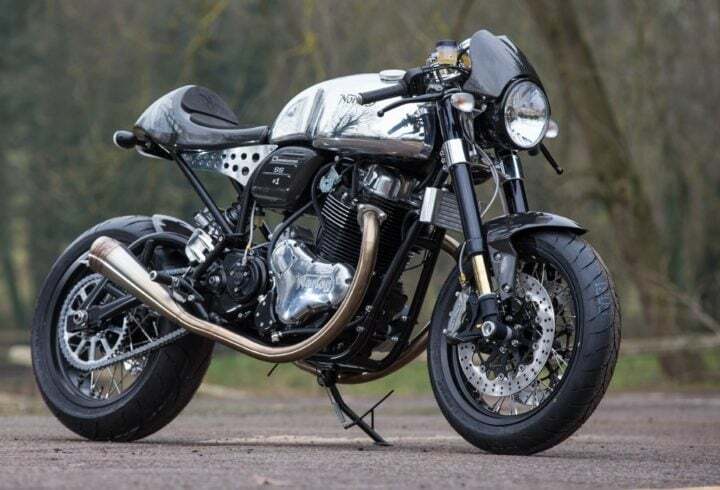 Norton is an old British brand which specializes in cafe racers. Well, the Commando Sport is no different and is a beastly cafe racer. 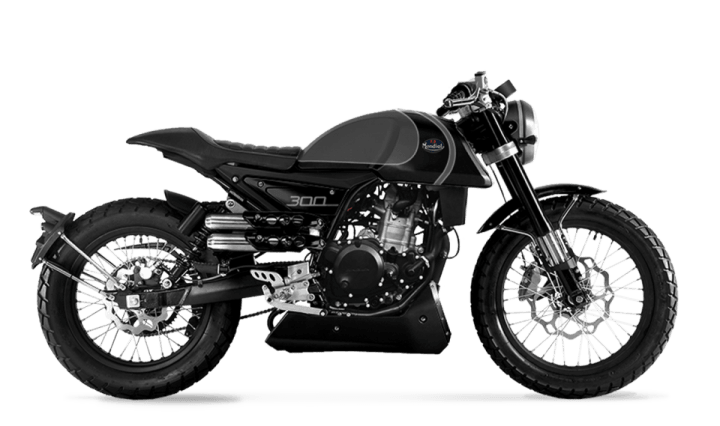 Along with the standard Commando, MotoRoyale has also launched the limited edition of the Commando. The Limited edition gets a UK Flag printed on the fuel tank, Customer’s name and a special number for them. The Cafe racer gets a twin-cylinder 961cc engine that produces 80HP power and 90 Nm of torque. The Dominator looks like a pure naked roadster, with minimum livery. Like The Commando, Dominator also gets the same 961cc engine. It also gets the similar Limited Edition with the flag, Customer name, and serial number. 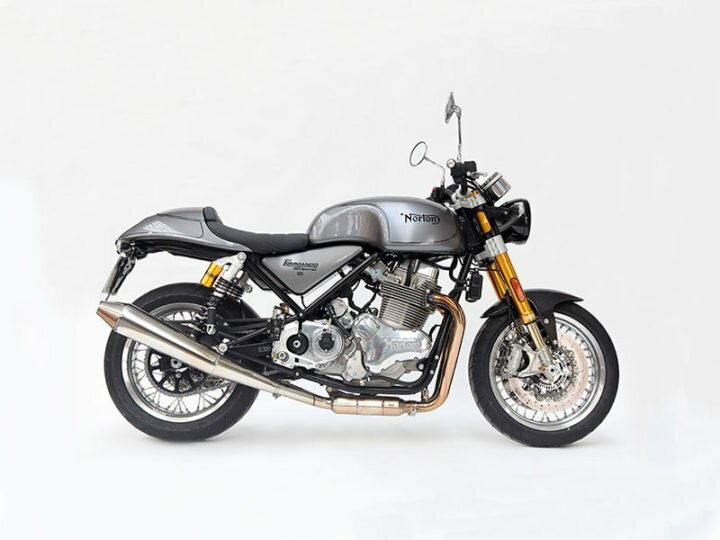 Total 37 limited editions of both the Norton bikes are sold over the world and all of them are just for the Indian market. Total 19 Limited edition Commando Sport and 18 Limited Edition Dominators will be available.